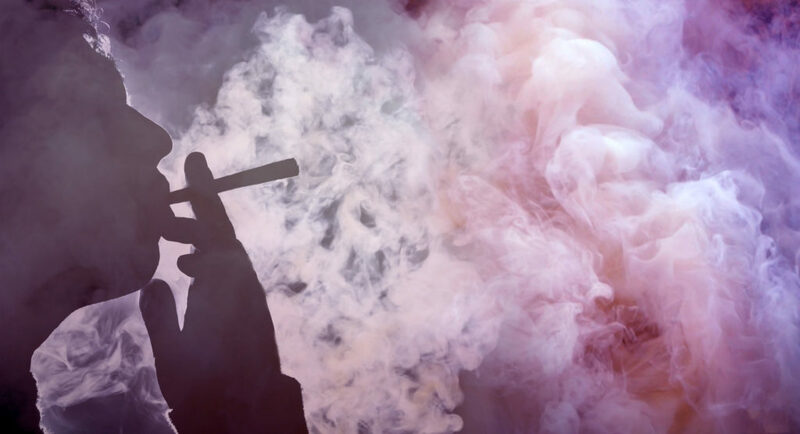 Consumption Most people who consume cannabis smoke it. In Europe, most people actually mix it with tobacco, although that is much more dangerous than simply enjoying it in its pure form, like the majority of connoisseurs in the USA, Canada and Jamaica. In addition to burning buds or resin, there are, however, other methods of enjoying the plant which is still illegal in our country. Some of those methods, such as vaporising, are not as well known, but are gaining in popularity. Others are simply too unusual, too wasteful, or for various reasons not always practical, to attract a lot of supporters, but they work too. Vaporising is much healthier than burning weed and not as unusual as it once was. It tastes better than smoking and is much more economical. Vaporising is not a problem if you have a good piece of equipment, but what should you do if there’s no “Vapo” to hand? Jamaica was familiar with the steam pipe, long before the time of Volcano & Co. The bamboo structure was no different to a vaporizer produced by the brand Eigenbau. At the end of the 1980s, you could learn, in the mountains of the Caribbean island, how to vaporise ganja instead of burning it, using a few pieces of fresh bamboo, a little charcoal, a small tin and red-hot charcoal. Reports about steam pipes and instructions on how to build the UR vaporizer can now also be found online. In addition to the right temperature, the coarseness setting of the buds is also very important when vaporising. The finer they are crushed, the more effectively the active components can be dissolved. This is definitely the most popular method after smoking. 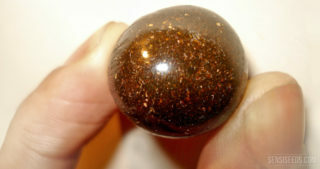 Almost everyone has eaten hash cake or space cake before, or at least heard of their existence. No hazardous substances whatsoever are created when eating or drinking, although the quantity is much more difficult to measure than when smoking or vaporising. 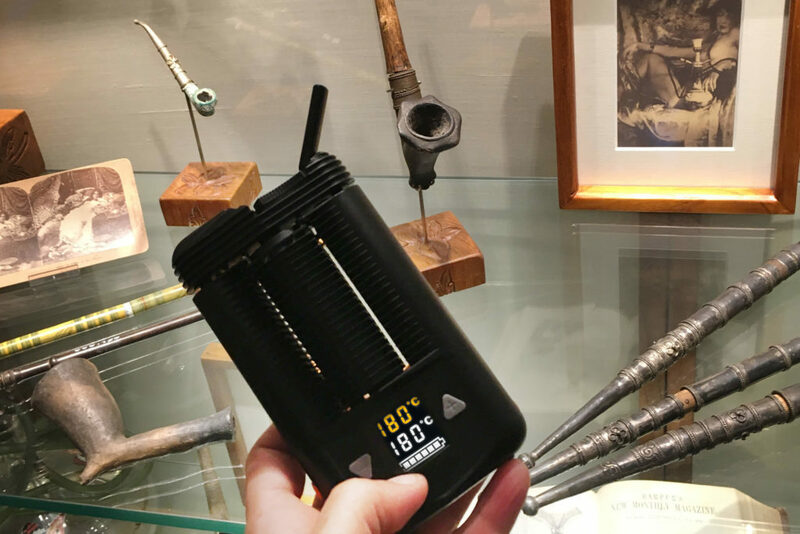 When used for medicinal purposes, in particular, it is often the only alternative, because many patients do not wish to or are unable to inhale either smoke or vapour. Overdoses may occur among inexperienced users in particular, because the effect cannot be felt straight away during consumption due to the delayed effect. You can put out a joint that is too strong after only smoking half of it, but you can’t do that with a cake that contains too much cannabis. Self-taught users also often have a more intense response to food products containing THC than to the same quantity of inhaled cannabis, but for others, the exact opposite is true. In case of doubt: Consume slowly and always know exactly how much weed or hashish a cookie, cake or cocoa contains. In case of doubt, it is better to ask the person who has baked or cooked the treat three times rather than simply gobble it up. But there is also a method that makes an overdose virtually impossible. “Juicing”, which is of particular interest to patients who are taking high doses of medication, involves squeezing the fresh plant. When consuming fresh buds, the positive effects of the cannabinoid are felt without getting stoned. Cannabinoids mainly occur in the fresh plant in the form of acid (THCA, CBDA etc.). Because THC doesn’t have a psychoactive effect in acid form, large quantities of these juices can be consumed without any relevant side effects, which is an ideal alternative for cannabis patients who require high doses but are unable to tolerate its psychological side effects. 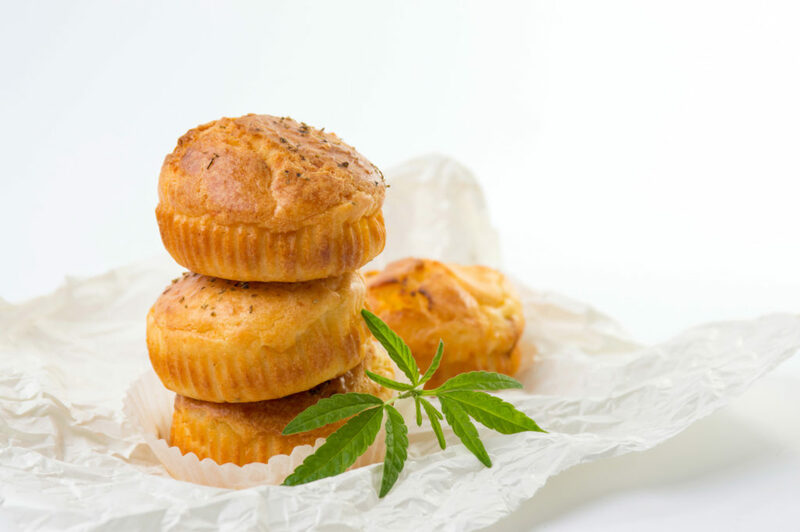 Until a few years ago, you would often hear that cannabis or hashish need heat and fat or at least alcohol to dissolve, so that you can bake or cook with it. A few years ago, an Austrian manufacturer presented a product that makes it possible to make weed or hashish soluble in water. It can therefore be tipped directly into a cold drink or stirred into muesli without much effort. 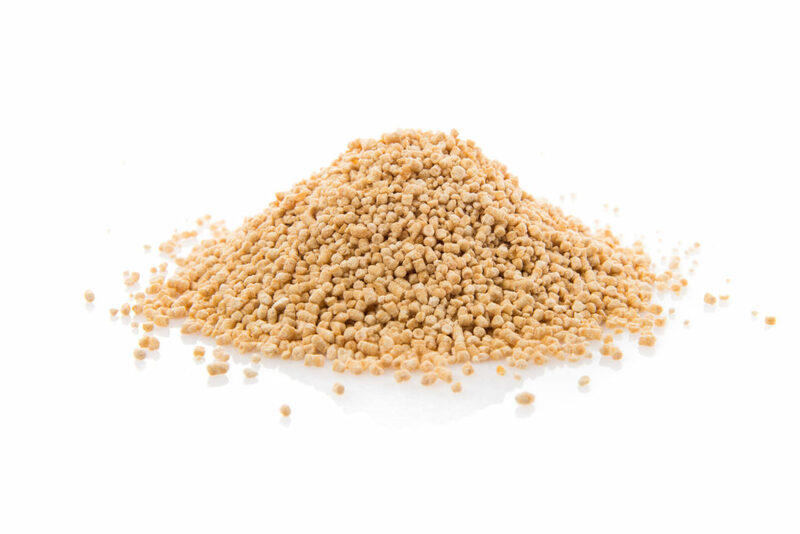 Whereas when it was presented a few years ago the ingredients were still a big secret, it is now clear that the main ingredient is a simple lecithin. 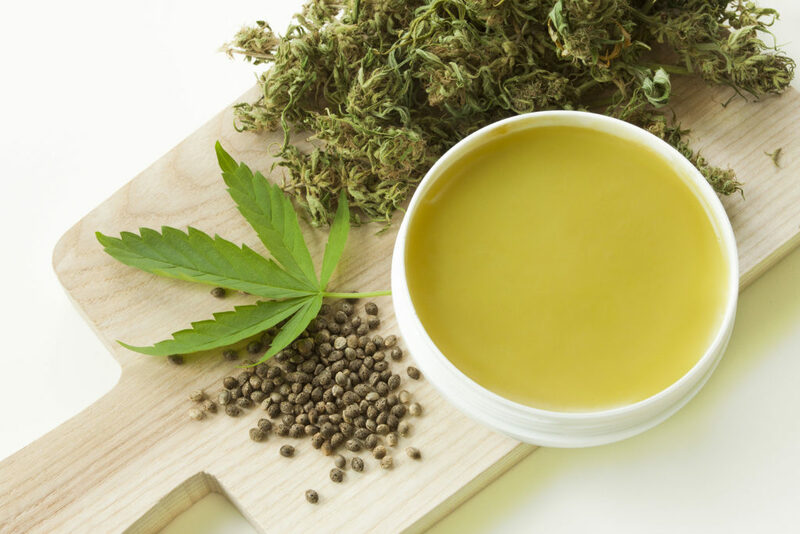 But be careful: If dried weed is not heated first before mixing it with a lecithin product, the THC acid will not be converted into THC and the drink or the yoghurt will not have the desired effect, but the same is not true of hashish or weed that has been stored for a long time. 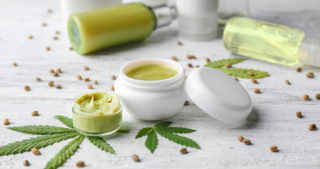 Ointments enriched with cannabis are not at all psychoactive, even if they have a high THC content, but they still have the analgesic and anti-inflammatory properties of cannabis. 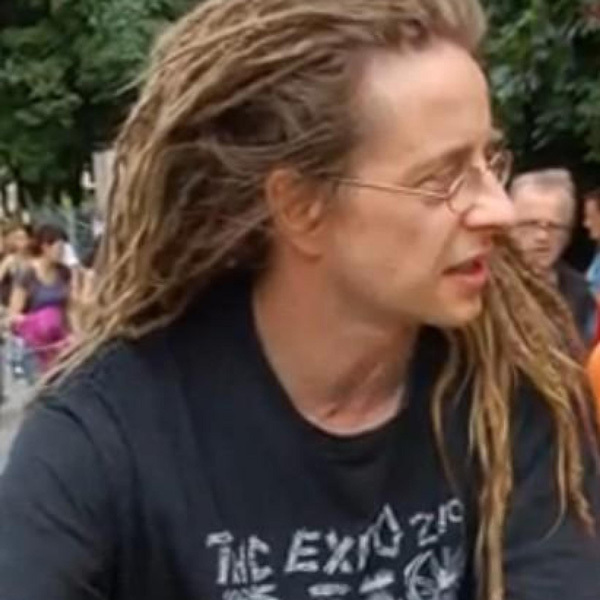 The famous hemp activist Bushka Bryndova from the Czech Republic allowed himself to be inspired by the old stories about the use of hemp in folk medicine and the research results of Professor Kabelik at the University of Olomouc from the 1950s. At the time, Kabelik was able to save his own finger from near amputation. writes Bryndova about his own experience with the ointment. For the sake of completeness, you should not leave out the most effective way of consuming cannabis, even if it’s not necessarily something that you should have definitely done once in your life, especially for the average recreational user. 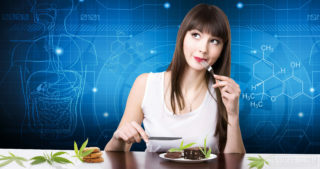 But if you opt for this medical administration method, despite having general reservations, you will be rewarded: If cannabis is eaten, an average of six to eight percent of the THC content (so around a third of the amount achieved through inhalation) is absorbed by the gastrointestinal tract. In suppository form, the gastrointestinal tract is avoided and you prevent the cannabinoid from being initially digested in the stomach. The active molecules (THC, CBD and other cannabinoids) can therefore find their way into the blood in a much higher concentration. The molecules take between 30 minutes and two hours to take effect and the effect lasts up to eight hours. The peak of the effect is not as distinct as when eating, because in the case of rectal administration, no 11-OH-?9-THC is formed in the liver. The only alternative for many cannabis patients with gastrointestinal diagnoses so far, this administration is reported to promise recreational users unrivalled effectiveness too. Hotboxing actually involves a communal pure smoking or vaporisation experience, taking into account the nature of a party. Cheech and Chong once led the way in what many older connoisseurs, who once did something similar, now refer to as youthful transgressions. With hotboxing, several consumers inhale the smoke or vapour from cannabis, hashish or BHO in an enclosed, small space, including cars, giant motorbike helmets, storerooms, telephone boxes, tents or cupboards. Hotboxing is effective and is above all social in nature. From a health perspective, it is not necessarily recommended, as it can soon result in a lack of oxygen, because you inhale smoke or vapour with every breath. Hotboxing and similar radical methods such as “bucket smoking” are mainly widespread among younger consumers. For responsible cannabis consumers, these methods are actually not worth considering at all for reasons of rationality and protecting the youth and health. Cannabis should be enjoyed, rather than consumed as quickly as possible with the aim of getting high. With the hot knife method, a small piece of weed, hashish or BHO is placed on a red-hot knife tip and the smoke is inhaled straight away. With the pin method, a pin is poked through a piece of cardboard, so that it can stand up vertically. A small piece of weed or hashish is then placed on the needle, lit and blown out. 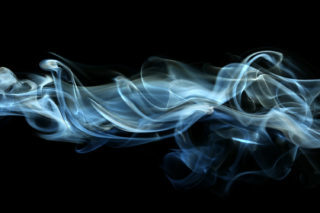 Whilst it is lit, you capture the smoke in a glass and inhale it as soon as the glass is full of smoke. These and similar MacGyver solutions (such as a pen, potato, cola can or disposable bottle) should be the method of choice by prohibition victims, who have been put behind bars due to cannabis, so that they don’t leave any traces behind. Effective and economical. 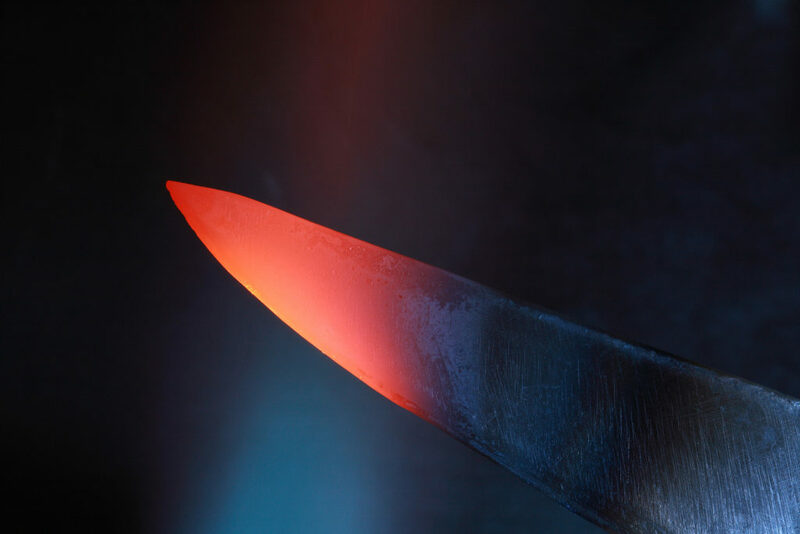 With the hot knife method, a small piece of weed is placed on a red-hot knife tip and the smoke is inhaled straight away. There are of course a few other unusual ways of consuming weed in addition to those described here, but even if some apprehensive opponents to legalisation in the USA claim the opposite: you cannot inject cannabis or its derivatives. You forgot one very important way of using cannabis - eating it fresh/fresh-frozen, as in harvesting off the plant and immediately eating it or immediately freezing it in fresh, non-decarboxylated form. 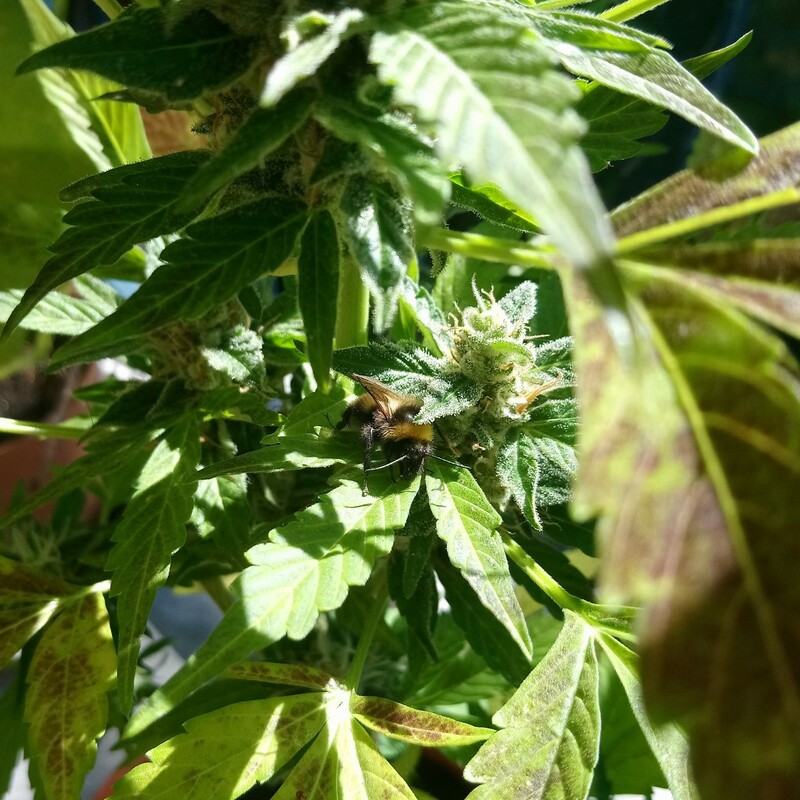 Using cannabis flowers fresh/fresh-frozen (typically in a smoothie) does not get you high, but instead energizes with a long, sustained sort of balanced energy (regular THC varieties), and if you include a portion of high CBD flowers (we use Harlequin with 8% CBD and 4% THC tested dry) for a few days to a week - it has almost completely cured arthritis in those who had it. Human cartilage has CB-receptors from what I've recently read - which likely explains this effect. Not only will fresh cannabis help/cure arthritis (specifically high CBD varieties), but along with sustained energy, high THC flowers do a serious number on depression. 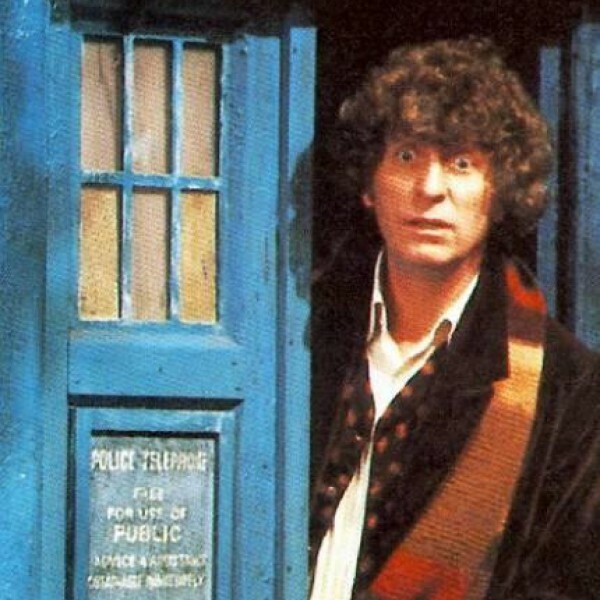 In fact it has virtually cured me of depression - I still get sad but it doesn't debilitate me at all any more, and this problem has run in my family for decades. 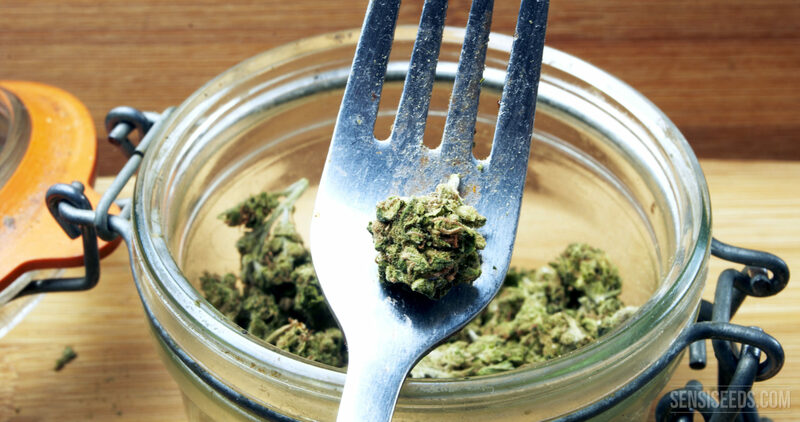 Eating fresh cannabis is probably how our ancestors used it. I always wondered about ancient people and cannabis - if much of their time was used in pursuit of food to survive, how likely is it they had any time to "chill" with decarboxylated weed? Eating fresh flowers - especially mature, seed-laden flowers with the added protein and EFAs and fiber the seeds contribute, along with the energy fresh THC gives (try it!) 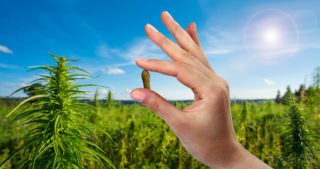 and the healing qualities of CBD (which had not been bred out of the plant in ancient times) would help our ancestors survive at a most basic level and enhance their ability to hunt. Try including 5-7gm of fresh or fresh-frozen flowers in a smoothie - you folks at Sensi are in the perfect place to do it - then write an article on the effects you feel. Fresh flower smoothies focus, energize, heal and basically hit you exactly the opposite of dry weed and could be the silver bullet cannabis needs to get accepted for the life giving plant it truly is. All this is from a 60+ year old person and those of my friends who've tried it. Could be as we age our ability to make endocannabinoids and related substances declines, and eating fresh-frozen flowers could well replenish them. The article makes it plain that cannabis is a culinary herb without ever mentioning the word herb. May I encourage everyone who cares to elevate the status of cannabis to use the word herb rather than the diminishing word weed which has always been used to hide the herbs true place in our culture. Weeds are unwanted, pulled out, plowed, poisoned, burnt, despised. Herbs are sought, gathered, medicinal, culinary, loved, cultivated, nurtured, consumed, selected, improved with each generation. The cannabis we consume is a Herb. Hot knife and needle? Are you in middle school trying to get high at your parents house lol. FYI. 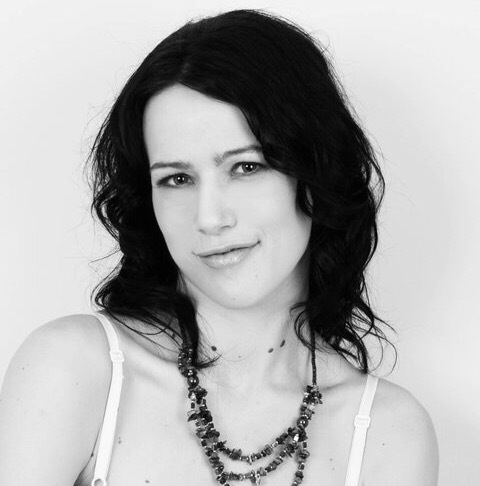 Lecithin was brought to the cannabis community for bioavailability and creating water soluble solutions by Kat Smiles of BadKat's CannaPharm, something like 20 years ago. This is widely known and accepted, they have openly educated caregivers and dispensaries about its use for many years. Kat co headlined the Canna World Summit with Rick Simpson and has been recognized by HIGHTIMES several times for this work. Cannabis history is important. Don't ever use the word "overdosed" or any variation of it when talking about Marijuana. One can take too much then needed and that would be an overload of THC. But don't ever say overdosed. Because people put that with dieing. And you can never physically die from smoking Marijuana or taking it in any form. You would pass out way before. I made roster chicken with the leaves. You crush the leaves, I did with chicken breasts. It can be done in casseroles or pression cooker too. I use a pirex dish covered with aluminium foil. 1 hours and after 30 minutes for every 500 grams. It doesn't need any other seasoning. You can use a bit of the flower mixed with stuffing. My cats adored they bully me every time I make chicken. I infuse a handful of fresh with 1/4 bottles spirits or alcoholic beverages. It s better dark bottles . close the lid and leave in warm water. Change the water when gets cold. Or leave in the radiator. Three days later .. I bought isopropanol I am going to make oil using fresh. Vodka is the best. . .... You can take with you anywhere. It doesn't call attention. Epidermolysis bullosa (EB) refers to a group of rare, potentially-lethal inherited conditions characterized by extremely fragile skin, which blisters and forms sores easily in response to minor trauma. EB shares similarities with other skin conditions such as dermatitis and psoriasis, which cannabis is known to benefit. How do edibles work? Many a first-time cannabis consumer has asked themselves this question. And with absolute reason, as enjoying such products necessitates a minimum of understanding of their process. 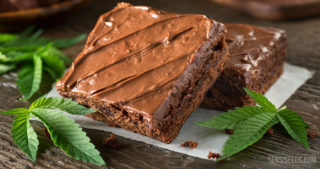 In this article, we break down the 101 on cannabis edibles for you. Read on, and consume responsibly! Space has fascinated humanity since we could first look upwards, and it’s only natural that we would want to get up there and see what was going on. Add cannabis to this fascination, and the questions that arise are potentially endless. 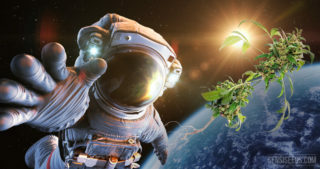 In part one of this article, we explore space, cannabis, and space cannabis! The scientific and anecdotal reports on rectal cannabis use are somewhat conflicting. Sometimes, the best way to research something is to do it yourself. For science, for Sensi Seeds, and for journalistic integrity, I tried a cannabis suppository and wrote about the results. If you live in Los Angeles and possess a prescription for medicinal cannabis, it is now possible to obtain your weed via a genuine pizza dealer. 'Stoned Oven' supplies numerous medical dispensaries, i.e. hemp flower pharmacies, with its cannabis-infused pizza. Vaporising cannabis is much more efficient than smoking it. Combustion happens regardless of whether or not the consumer is inhaling, which means that cannabinoids continue being released into the air as long as it is burning. Vaporising also preserves THC contents much better than combusting.